The MacBook Pro is a line of Macintosh portable computers introduced in 2006 by Apple Inc., and now in its third generation. MacBook Pro was the second model, after the iMac, to be announced in the Apple–Intel transition. 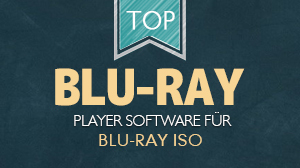 It allows users to play blu-ray files, blu-ray discs on it so as to experience the most wonderful blu-ray home cinema effects. 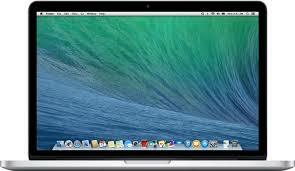 It is also the high-end model of the MacBook family and is currently produced with 13- and 15-inch screens. 1. Retina display brings a million-pixel view and makes images take on a new level of realism with the high pixel density, and the retina maintains good color and quality by reducing glare. Its high contrast ratio makes everything look more rich and vibrant. 2. Latest-generation dual-core Intel Core i5 or Intel Core i7 processor enhances performance by letting each core handle multiple tasks simultaneously. 3. The 13‑inch MacBook Pro with Retina display features Intel Iris Graphics, which boost performance by up to 90 percent, so it can handle both everyday tasks and graphics-intensive creative apps. 4. Impressive battery life makes it possible for the 13-inch MacBook Pro to last up to 9 hours between charges and the 15-inch model for 8 hours, which is remarkable for any notebook. 5. With Multi-touch trackpad, you can switch between apps, navigate your content, and get the most out of your desktop space. With the backlit keyboard, a built-in sensor detects changes in ambient light, automatically adjusts the keyboard and displays brightness so that you’ll never be left in the dark. 6. iCloud lets you have access to your music, photos, documents and more from whichever device you’re using — Mac, iPhone, iPad, or iPod touch. And it automatically keeps everything up to date everywhere. 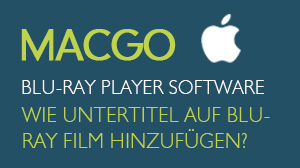 How to play Blu-ray on 15-inch MacBook Pro Retina with Macgo Mac Blu-ray player? 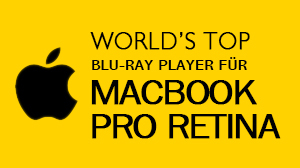 How to play Blu-ray on 13-inch MacBook Pro Retina with Macgo Mac Blu-ray player?